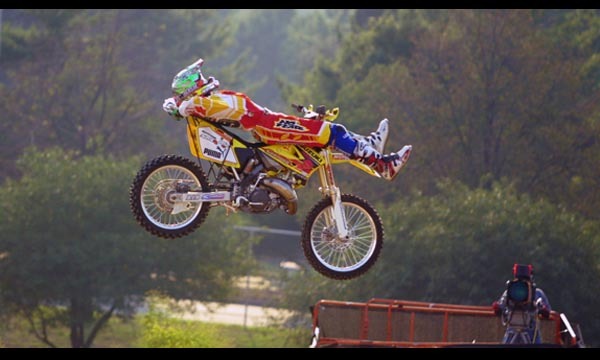 Motor racing is the popular competition of motorcycles and cars. The fundamental principle of the sport is that the bikes or automobiles are raced by riders or drivers against each other to see which is the fastest. Auto racing can be categorized based on distance, rules and regulations, etc. Road racing and off road racing, which can be on circuit as well as open courses, and track racing are included in the major genres of the sport. There are other categories as well, such as hill climbs, drag racing and land speed record trials. Fans come in large numbers to watch the races. Let us take a look at the Top 10 Motor Racing Venues by Capacity. The Las Vegas Motor Speedway is situated at Las Vegas in the United States. This motor racing track currently has a seating capacity of 142,000 for the racing fans and is inducted in the tenth place in our list of top 10 motor racing venues by capacity. 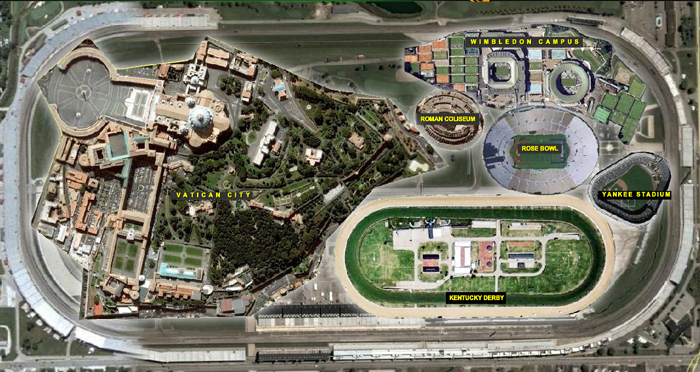 Las Vegas Motor Speedway was inaugurated for public in 1996. The racing track is currently owned and operated by the Speedway Motorsports, Inc. This venue presently houses a 1.500 mile long racing track. The track of the Las Vegas Motor Speedway is made on asphalt. 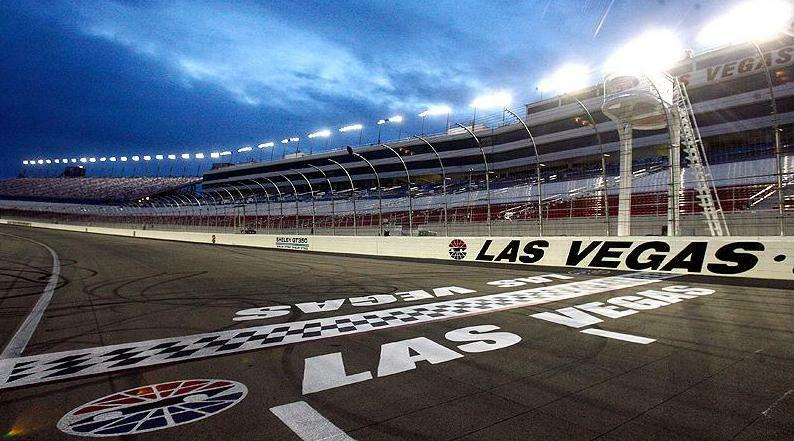 There are several major notable racing events are organized at this venue such as the NASCAR Sprint Cup Series, Kobalt 400, NASCAR Xfinity Series, Boyd Gaming 300, NASCAR Camping World Truck Series, Rhino Linings 350, NHRA Mello Yello Drag Racing Series and Global RallyCross Championship. The Daytona International Speedway is situated at Daytona Beach in the United States. This motor racing track currently has a seating capacity of 146,000 for the racing fans and is inducted in the ninth place in our list of top 10 motor racing venues by capacity. Daytona International Speedway was inaugurated for public 56 years ago in 1959. The racing track is currently owned and operated by the International Speedway Corporation. This venue presently houses a 2.500 mile long racing track with 4 turns. The track of the Daytona International Speedway is made on asphalt. 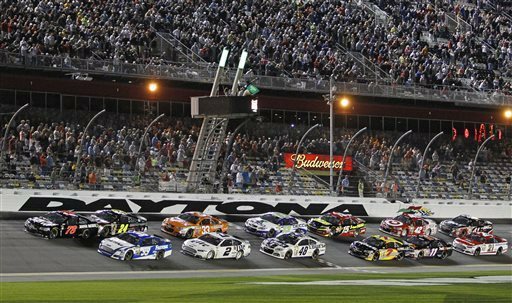 There are several major notable racing events are organized at this venue such as the NASCAR Sprint Cup, Grand-Am and ARCA. The Nürburgring Racing Circuit is situated at Nürburg in Germany. This motor racing track currently has a seating capacity of 150,000 for the racing fans and is inducted in the eighth place in our list of top 10 motor racing venues by capacity. 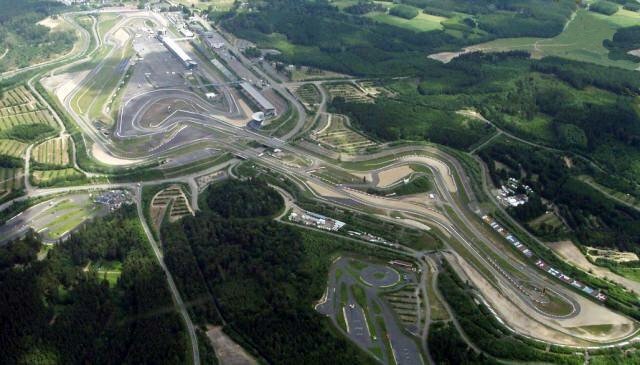 Nürburgring Motor Racing Circuit was inaugurated for public in 1984. This venue presently houses a 3.199 mile long racing track with 16 turns. The track of the Nürburgring is made on asphalt. There are several major notable racing events are organized at this venue such as the FIA Formula One, German Grand Prix, European Grand Prix, the Luxembourg Grand Prix, Superbike World Championship, DTM and 24 Hours Nürburgring. The Aintree Motor Racing Circuit is situated at Aintree in the United Kingdom. This motor racing track currently has a seating capacity of 150,000 for the racing fans and is inducted in the seventh place in our list of top 10 motor racing venues by capacity. 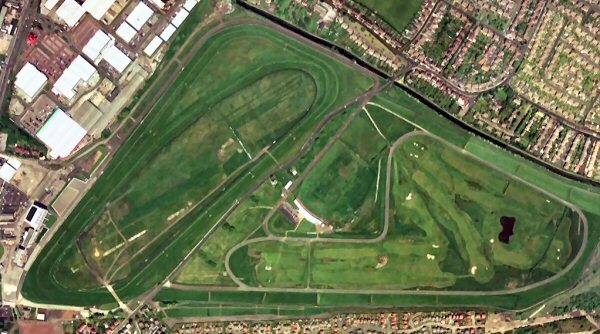 Aintree Motor Racing Circuit was inaugurated for public in 1954 but was temporarily closed in 1964. This venue presently houses a 3.000 mile long racing track with 8 turns. The track of the Aintree Motor Racing Circuit is made on asphalt and brick. There are several major notable racing events are organized at this venue such as the FIA Formula One: British Grand Prix and Grand Prix de Europe. The Silverstone Circuit is situated at Silverstone in the United Kingdom. This motor racing track currently has a seating capacity of 150,000 for the racing fans and is inducted in the sixth place in our list of top 10 motor racing venues by capacity. Silverstone Circuit was inaugurated for public in 1948. This venue presently houses a 3.660 mile long racing track with 18 turns. 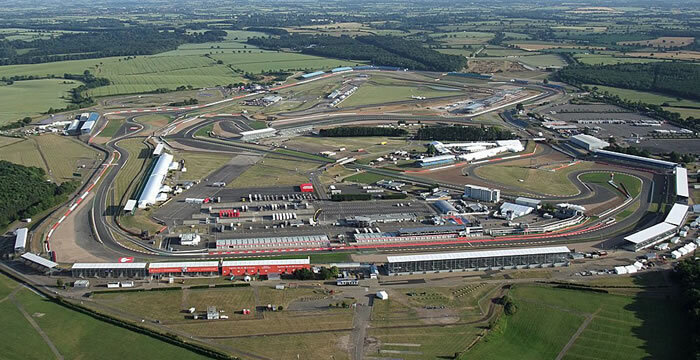 The track of the Silverstone Circuit is made on asphalt and brick. There are several major notable racing events are organized at this venue such as the FIA Formula One: British Grand Prix, FIA World Endurance Championship 6 Hours of Silverstone, FIM Superbike World Championship, European Le Mans Series, European Formula Two Championship, FIA International Formula 3000 and British Touring Car Championship. The Buddh International Circuit is situated at Delhi in India. This motor racing track currently has a seating capacity of 100,000 for the racing fans and is inducted in the fifth place in our list of top 10 motor racing venues by capacity. 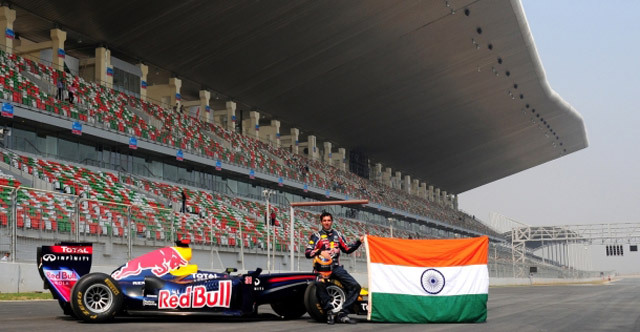 Buddh International Circuit was inaugurated for public in October 2011. The racing track is currently owned by Jaypee Group and operated by Jaypee Sports International Limited. This venue presently houses a 3.185 mile long racing track with 16 turns. The track of the Buddh International Circuit is made on asphalt concrete with Graywacke aggregate. There are several major notable racing events are organized at this venue such as the FIA Formula One. The Istanbul Park is situated at Istanbul in Turkey. This motor racing track currently has a seating capacity of 155,000 for racing fans and is inducted in the fourth place in our list of top 10 motor racing venues by capacity. Istanbul Park was inaugurated for public on 21st August 2005. The racing track was designed by architect Hermann Tilke. This venue presently houses a 3.317 mile long racing track with 14 turns. The track of the Istanbul Park is made on asphalt and brick. 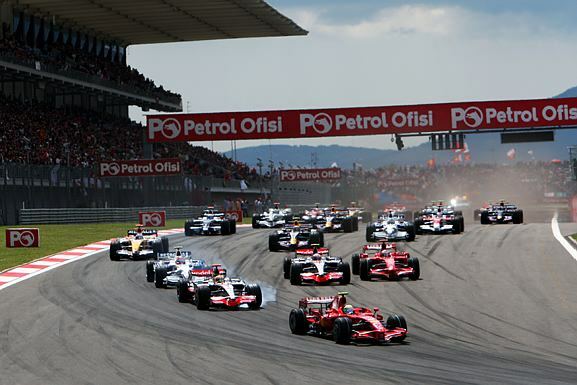 There are several major notable racing events are organized at this venue such as the Formula One (Turkish Grand Prix) , FIA World Touring Car Championship, Deutsche Tourenwagen Masters, GP2 Series, Le Mans Series, MotoGP and FIA World RX of Turkey. 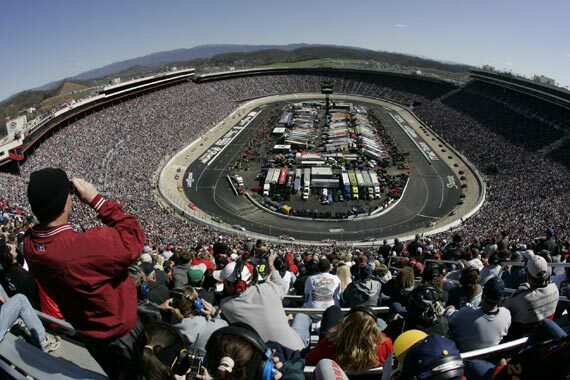 The Bristol Motor Speedway is situated at Bristol in the United States. This motor racing track currently has a seating capacity of 160,000 for racing fans and is inducted in the third place in our list of top 10 motor racing venues by capacity. Bristol Motor Speedway was inaugurated for public in 1961. The racing track is currently owned by Speedway Motorsports, Inc. and operated by the same company. This venue presently houses a 0.533 mile long racing track with 4 turns. The track of the Bristol Motor Speedway is made on concrete. 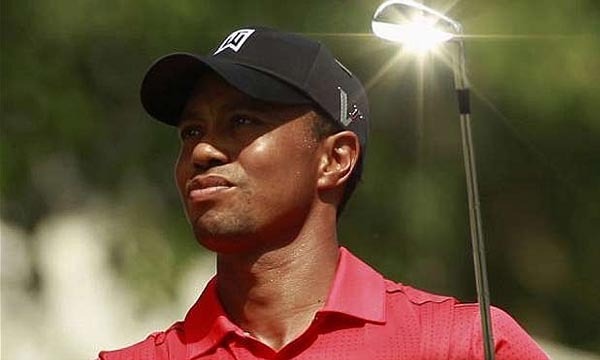 There are several major notable racing events are organized at this venue such as the NASCAR Sprint Cup. The Shanghai International Circuit is situated at Shanghai in China. This motor racing track currently has a seating capacity of 200,000 for the racing fans and is inducted in the second place in our list of top 10 motor racing venues by capacity. Shanghai International Circuit was inaugurated for public in 2004. The racing track was designed by architect Hermann Tilke and has an estimated construction cost of nearly $450 million. This venue presently houses a 3.388 mile long racing track with 16 turns. 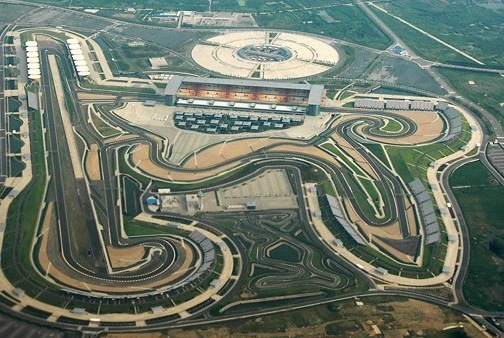 The track of the Shanghai International Circuit is made on asphalt and brick. There are several major notable racing events are organized at this venue such as the FIA Formula One. The Indianapolis Motor Speedway is situated at Speedway in the United States. This motor racing track currently has a seating capacity of 250,000 for the racing fans and is inducted in the top place in our list of top 10 motor racing venues by capacity. Indianapolis Motor Speedway was inaugurated for public on 12th August 1909. The racing track is currently owned by Hulman and Co. and operated by Indianapolis Motor Speedway Corporation. This venue presently houses a 2.500 mile long racing track with 4 turns. The track of the Indianapolis Motor Speedway is made on asphalt and brick. There are several major notable racing events are organized at this venue such as the Indy Car, NASCAR Sprint Cup, FIM MotoGP and FIA Formula One. Millions of people around the world love to witness some live action on the tracks and witness with their own eyes the magic of cars whizzing past in the blink of an eye. 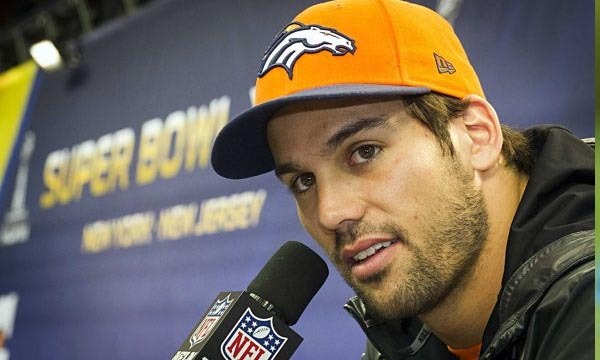 That is why, they throng to the venues. The top venues are thus built to accommodate large number of visitors.